Glaisin na Marbh/the little stream of the dead uniquely encapsulates a period in our history. 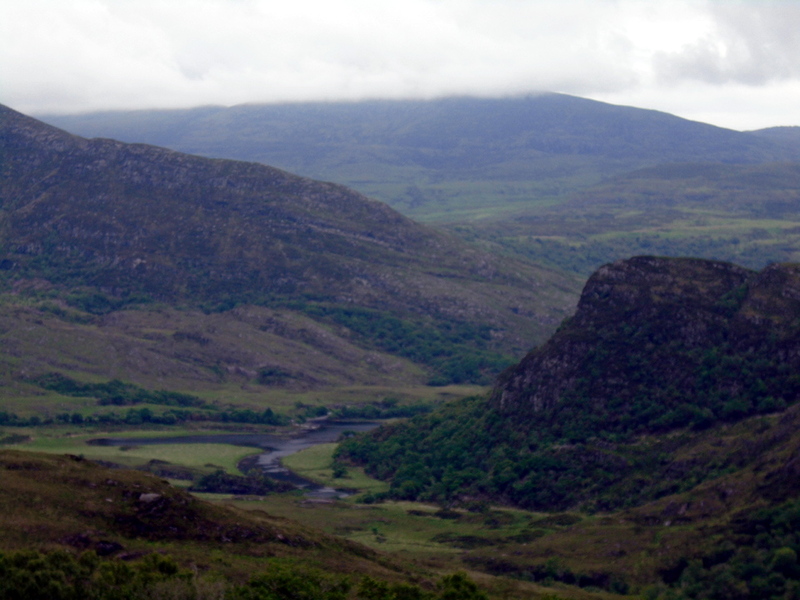 It is remote and inaccessible under the southern shadow of Shehy/Glena Mountain to the west and high over Killarney’s Middle and Lower Lakes. A first visit here is best done with somebody who knows the route. 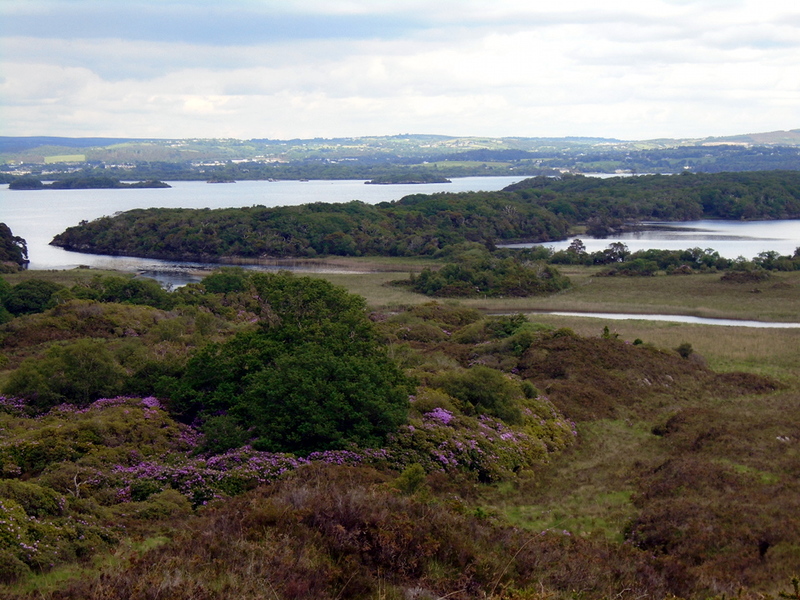 It is very easy to get lost in the entanglement of rhododendron and oak over boggy, uneven ground. 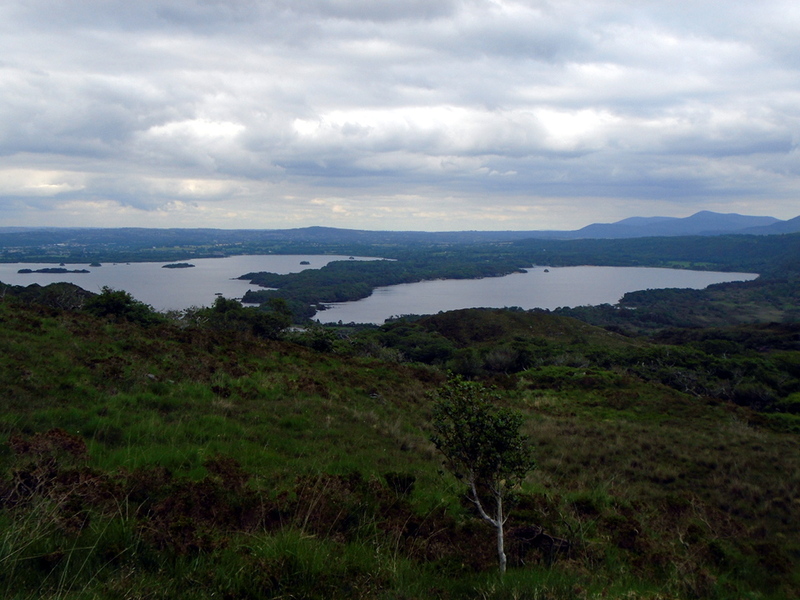 Looking back over the ever expanding view of the lakes, the Long Range River – that joins the Upper Lake to the other two – in the background the bulk of Torc and Mangerton, the Muckross woodlands and pastures and the town of Killarney. Rising above the rhododendron, crossing boggy open area, walking through groves of oak the ever increasing re-occurrences of individual rhododendron plants remind that the area could again be infested with the ‘pernicious weed’ if it is not kept in train. 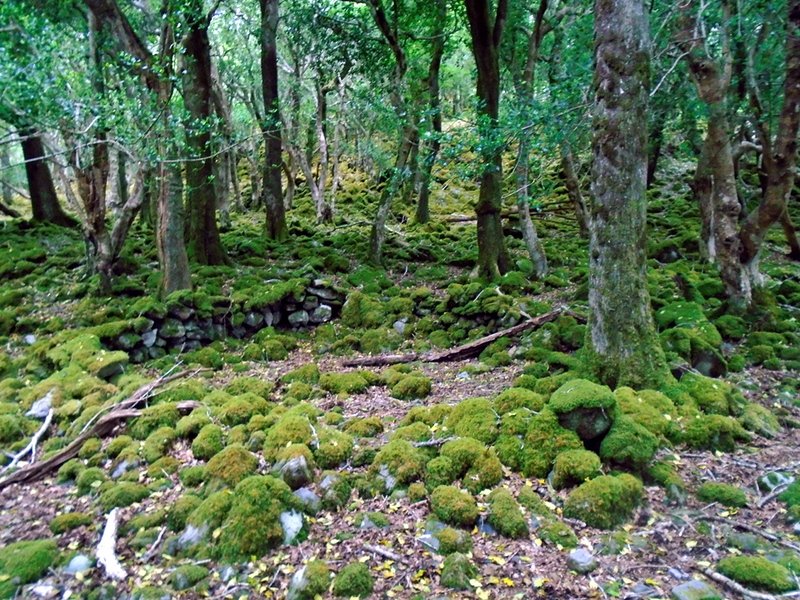 This is an area world famous for its bryophytes (mosses, liverworts and ferns). 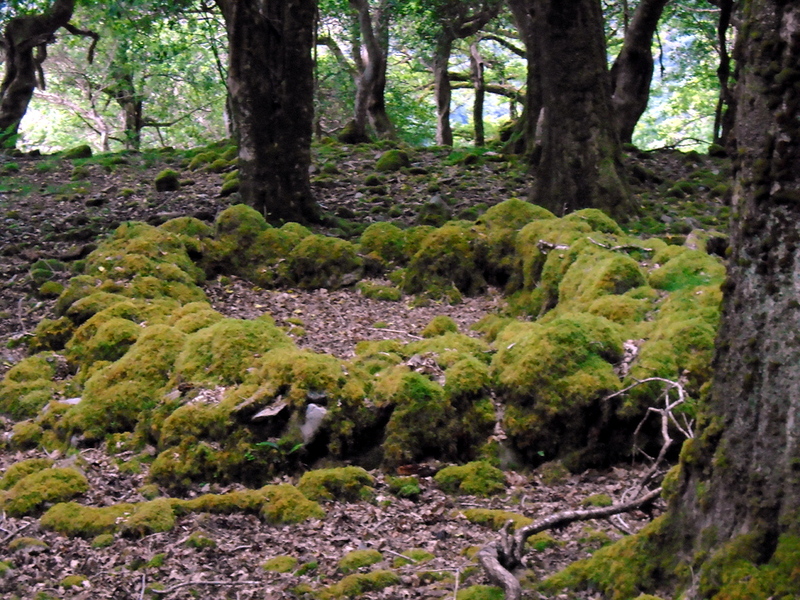 In the first half of the 19th century Dr Thomas Taylor is credited with identifying up to a hundred new mosses in this area. 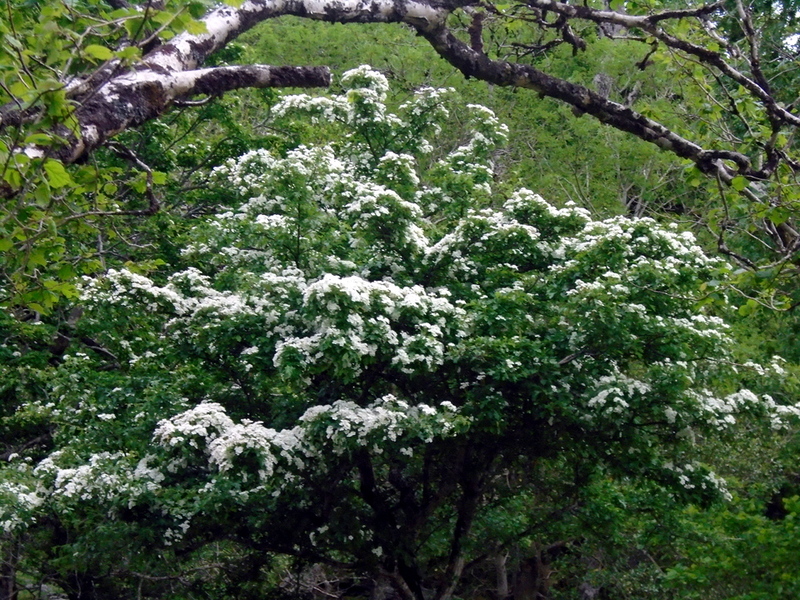 Now getting close to Glaisin na Marbh there is more holly than oak. Gene Tangney of Gearhameen says that each of the hollies marks a grave. 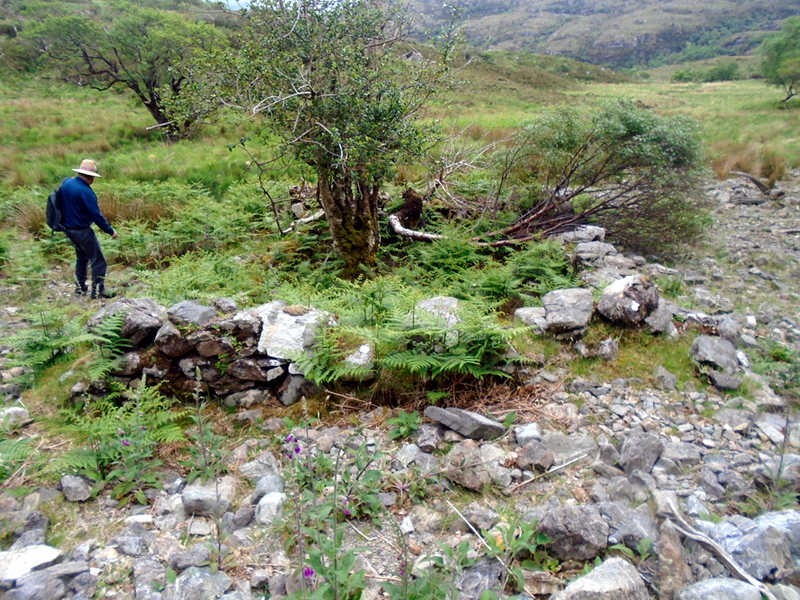 The coffins of those who died in this high region were carried across the mountain to be buried in Muckross Abbey. Maybe those lifting rested their load here and that was how Glaisin was named. 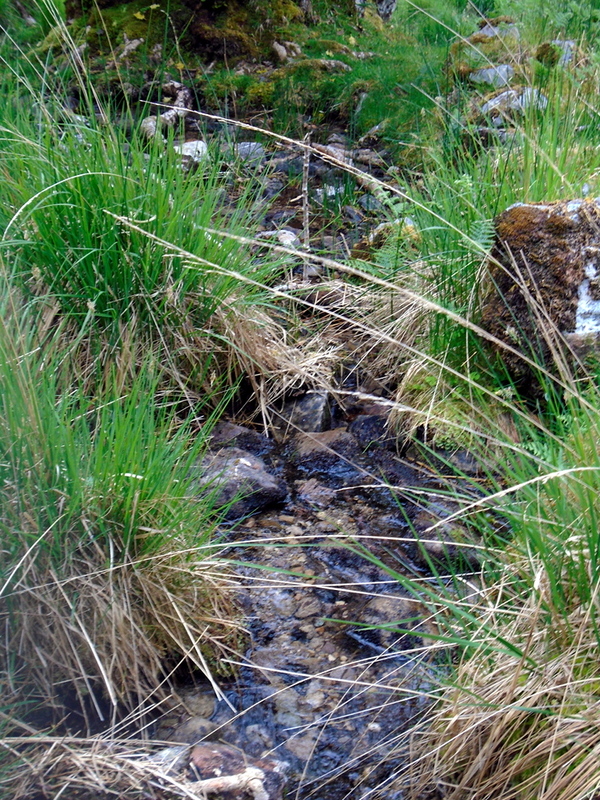 Is this ‘the little stream’ in the name of the place? 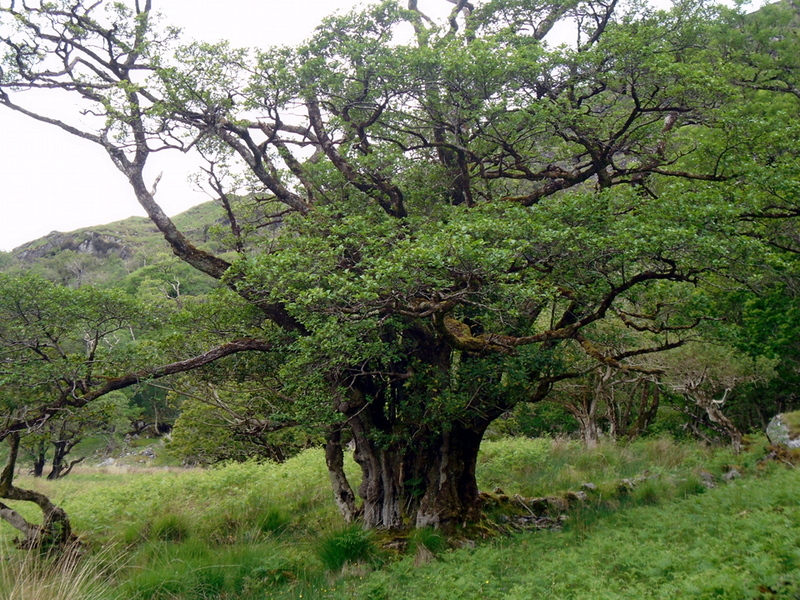 With a circumference of eighteen feet is this the largest alder in Ireland? It is an indicator that spectacular growth is possible here tucked in under the mountain. The mountains are green already – which doesn’t normally happen until early July. The swarm of ticks that rose up around us here appeared to be quickly discouraged by our midge repellent. 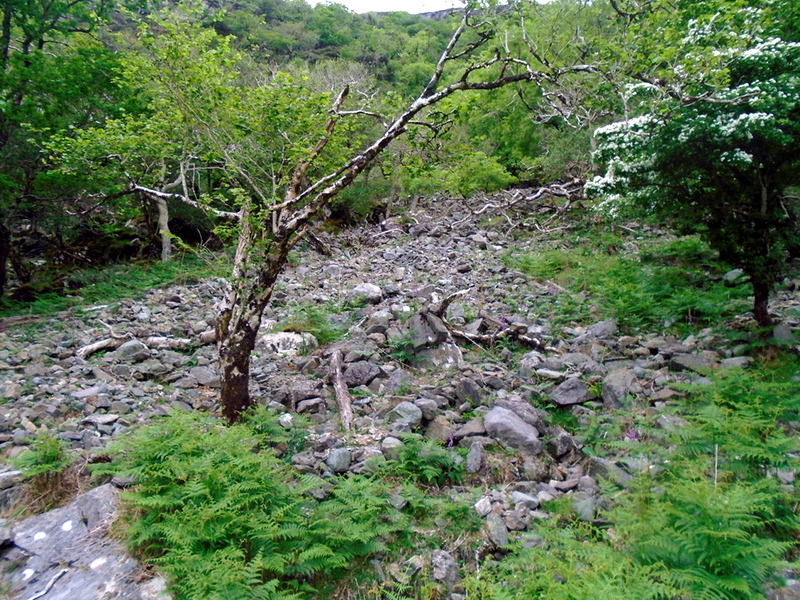 The rockslide, which is much larger since our last visit, shows Glaisin is also a place that can be dangerous. The wide, shallow lazy beds of the pre-famine period are particularly clear here. With the advent of the potato it was possible to survive in places like Glaisin na Marbh. 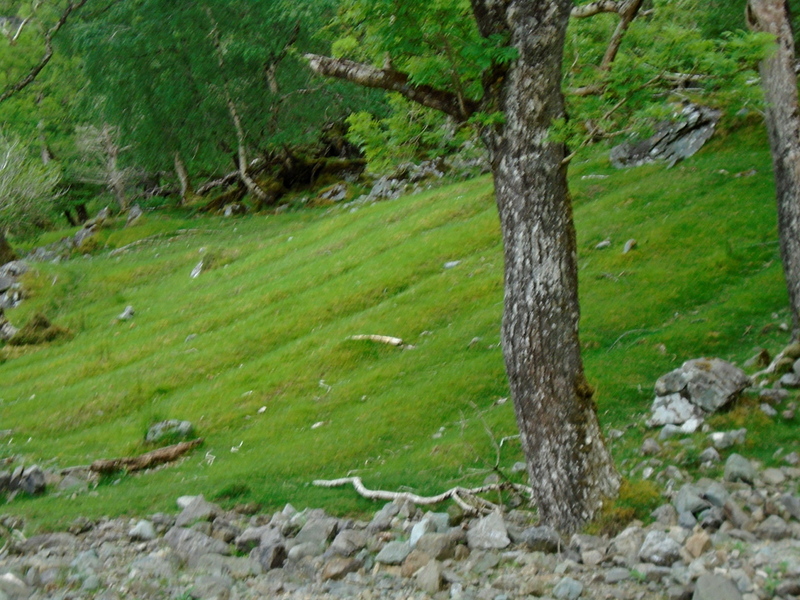 Potatoes could be grown successfully on high, barren sites like this, and it is possible to survive on a daily diet of three meals of potatoes and a little buttermilk. In July, between the potato crops, the people ate cabbage. The population doubled between 1740 and 1840. Life expectancy at that time was 34!. The walk home is a particular pleasure – provided you have no doubt about the route. Now the rising is over. Though sometimes the way down can be more difficult to find and the slippery surface is more difficult to negotiate on falling ground.